In 1915, it was realised that the war (World War 1) was not going to be over quickly. More RFC (Royal Flying Corps) squadrons would be required and this moved the War Office to expand its training organisation. To meet this requirement the No.1 School of Military Aeronautics and the No.1 School of Technical Training were formed in Reading. An airfield and small aerodrome (officially known as Coley Park Aerodrome) was built on low-lying ground near the River Kennet at Coley alongside the new CWS (Co-operative Wholesale Society) Jam Works near Berkeley Avenue. 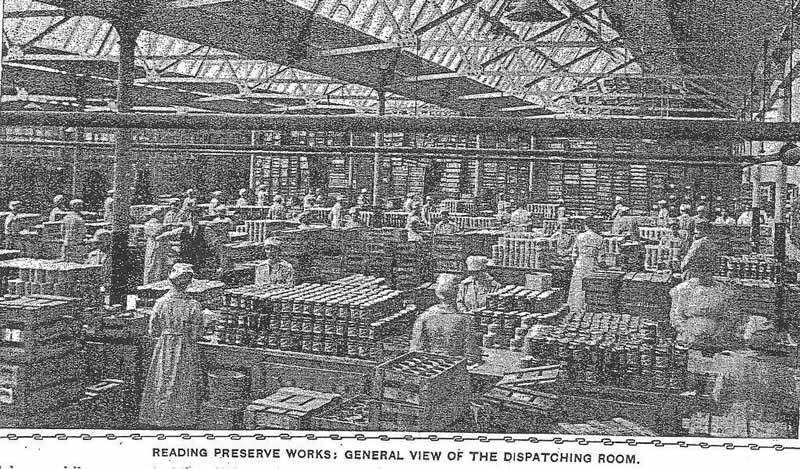 It was opened in 1915 and by 1916 was providing advanced training to the trainees from the School of Technical Training. Before the CWS decided to build their Jam Factory in Reading, a number of alternatives were considered. Evesham, Banbury, Aylesbury, Basingstoke, Sittingbourne and Rugby were all tested as potential sites. Coley at Reading was decided the best location on the spreading meadows between the Kennet River and the Great Western Railway Depot (Reading Goods). Although construction of the Jam Works was completed in 1916, the factory could not start production due to the shortage of glass and sugar due to the war effort. The new factory had no machinery installed and the Government was quick to notice this. Part of the empty factory buildings were then used for aircraft construction and the offices used for the RFC pilot training school. 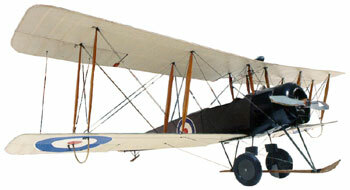 The main aircraft in use was the AVRO 504, but reports of other aircraft have been noted. The aerodrome was plagued by river fogs and by the end of the war was no longer of use and the land was released. Today there is no trace of the aerodrome. 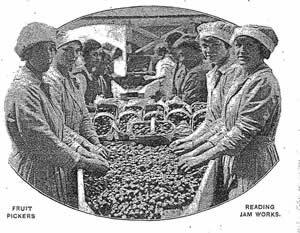 The CWS Jam Works was finally able to commence production in 1919. Fruit was brought in from all over the country and fruit imported from overseas arrived at Southampton docks regularly. By 1920, just a year after beginning production, there were 48 steam-jacketed pans boiling away all day turning fruit and sugar into jam. 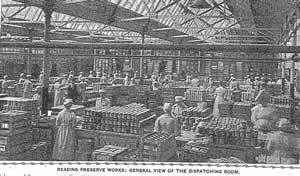 Modern machinery included automated bottle washing and for the labelling of jars. The company provided well for its employees, having a fine dining room and a recreation club where tennis and other games were available during leisure hours. In its heyday it produced over 1.7 million jars of jam per year. In 1968 the works were closed and the production moved to Manchester. 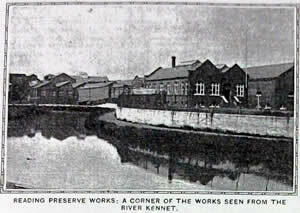 The buildings were bulldozed and the area is now a light industrial estate. The Co-operative Wholesale Society (CWS) also owned a printing works in Elgar Road (c.1919), which presumably printed the labels for their jam jars etc. Thanks to Julian Tominey for the following contribution regarding the Royal Flying Corps (RFC) at Coley Park in Reading. Here are some pictures of the MFSH aeroplane that Johns would have trained on at Coley Park. 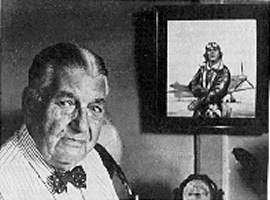 Following on from Julian's information, William Earl Johns (born February 1895) was taught to fly by a Captain Ashton and many of his experiences were to go into the book Biggles Learns To Fly. Johns had an aptitude for flying and soon went solo, but actually stalled and crashed on his first flight! On January 20 1918, W.E. Johns was posted to No.25 Flying Training School at Thetford in Norfolk, closer to where his wife and son lived. Captain (a rank imposed on himself) W.E. Johns went on to write 169 books, and over 100 of these were Biggles books. He died in June 1968. 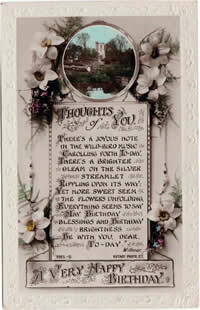 Just a simple thought to send her son a birthday wish has now become a small part of recorded history 100 years later. (Alfred) Norman Burnie was stationed at the RFC airfield and factory at Coley Park during the first world war. According to the postcard address below I believe his rank was 2nd Class Air Mechanic (2/a/m). 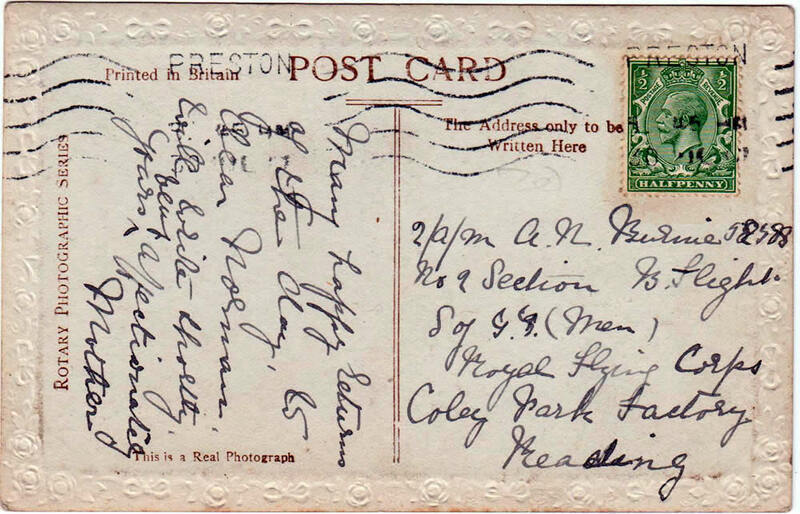 No date is readable on the postmark but it was posted in Preston UK. His service number is 58588 (or 59588?). Venessa has tried to find more about Norman's war, but records are hard to trace and may have been with those that were destroyed during the bombing of London during WW2. We do know that he was born in Preston in 1887 and was married to Mary. He passed away in 1960 aged 73, so it is pleasing he survived the two wars. Many happy returns of the day, to dear Norman. Will write shortly. Yours very affectionately, Mother.